Walter Nash has been representing people in criminal cases for more than forty six years and has earned the reputation of being an outstanding lawyer in the field of criminal justice. 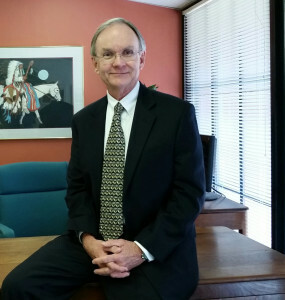 Walter has handled major cases in State and Federal courts throughout Arizona and across the country, including in the United States Supreme Court. Walter is known for his diligent case preparation, hard work, comprehensive investigation, innovative defenses and motions, and aggressive and effective representation. His many years of experience have taught him that these are the keys to the best possible result for a client. The firm is “AV” rated (the highest possible rating ) by Martindale-Hubbell and Walter is also listed in The Best Lawyers in America, the Bar Register of Preeminent Lawyers, Southwest SuperLawyers, Top Attorneys in Arizona (Arizona Business Magazine), Best Lawyers (U.S. News), Best Law Firms (U.S. News & World Report) and other publications. If you or your business has been charged in a criminal matter, or is being investigated, let the skill and experience of Walter Nash work for you. Mr. Nash is also available for consultation with other lawyers in criminal cases.